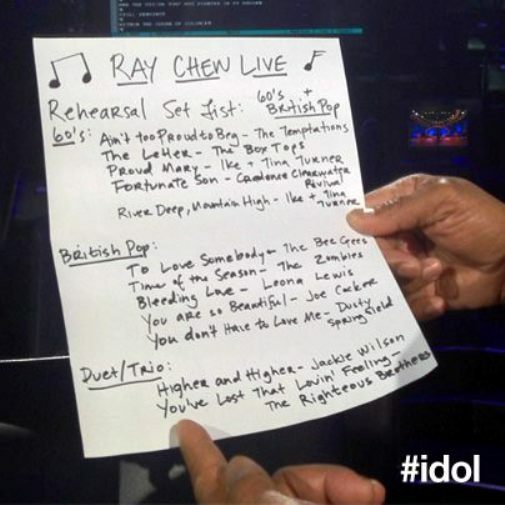 American Idol Season 11’s Top 5 will be tackling songs from the 60’s tonight. And not only that, they each get a second song from a genre of British Pop. The song spoilers are out and it looks like we’ve got quite a selection. Contestants will also be performing in a duet and a trio. Hmm. Out of all of these songs, who would you like to see sing them? Who are your picks for these songs? Off the top of my head, I can see Jessica Sanchez performing Leona Lewis and Phillip Phillips singing You Are So Beautiful. He’s the heartthrob this season after all. I’m excited for these songs. I love me some oldies! The themes so far haven’t given contestants a chance to explore much of them. Even if you’re a youngin’ you can still appreciate good music. They’re Oldies but Goodies after all! Leave your picks for tonight in the comments!